Why a Multi-Sensory Approach?…and a GIVEAWAY!! Dyslexia is a challenge that special education teachers are facing every day. The teachers of special education students need multiple resources to help these children properly develop and learn. Engaging in a multi-sensory approach to learning is a valuable resource that can help these special education students succeed in the classroom. Is your child struggling with reading, writing, and spelling? These repetition activities may help. The multi-system approach utilizes auditory, visual and kinesthetic pathways to enhance learning. These students often need multiple repetitions before mastering a skill. In the fast pace of the current culture of the classroom, up to 90% of students can have gaps in their development. The multi-system approach is designed for repetition and building a foundation. The fast pace of classroom information and the education culture mind-set do not have time for many repetitions. This leaves up to 90% of our students with growing gaps in their academic development. 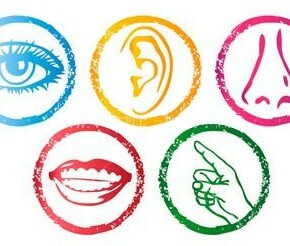 A multi-sensory approach to education engages all of a student’s learning faculties. Using a multi-sensory approach to a lesson can make learning fun. Repetition is critical to multi-sensory education.